Shen Lu has won numerous international piano competitions. His gold prize at the 2014 Hilton Head International Piano competition includes this collaboration with Steinway & Sons � a debut recording from an exceptional young artist. A native of Jiangsu, China, Shen Lu has performed concerts at Beijing�s Central Conservatory Music Hall, Culture Center and City Hall, Weill Recital Hall and Carnegie Hall in New York, Jordan Hall in Boston, Severance Hall in Cleveland, The Kennedy Center in Washington DC, The County Museum of Art in Los Angeles, Flagey Concert Hall in Brussels, and the Seymour Centre in Sydney. 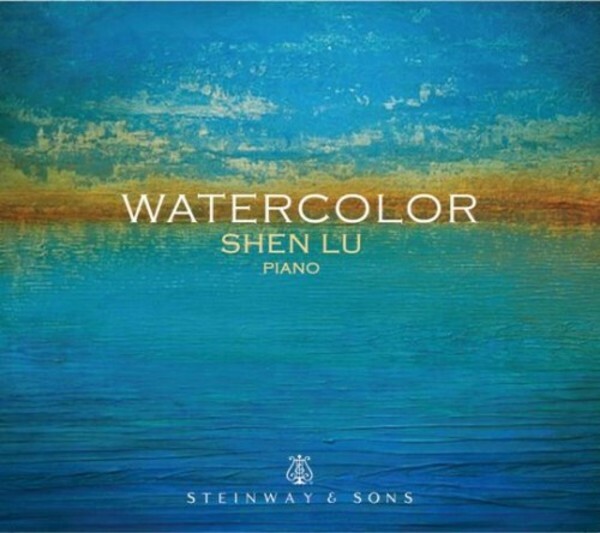 'Watercolor' highlights Shen Lu�s specialty in contemporary Chinese repertoire and his passion for the great French and Russian piano works of the 20th century.